These terrific Doctor Who illustrations are done by artist Robin Robinson (aka The Gorgonist). 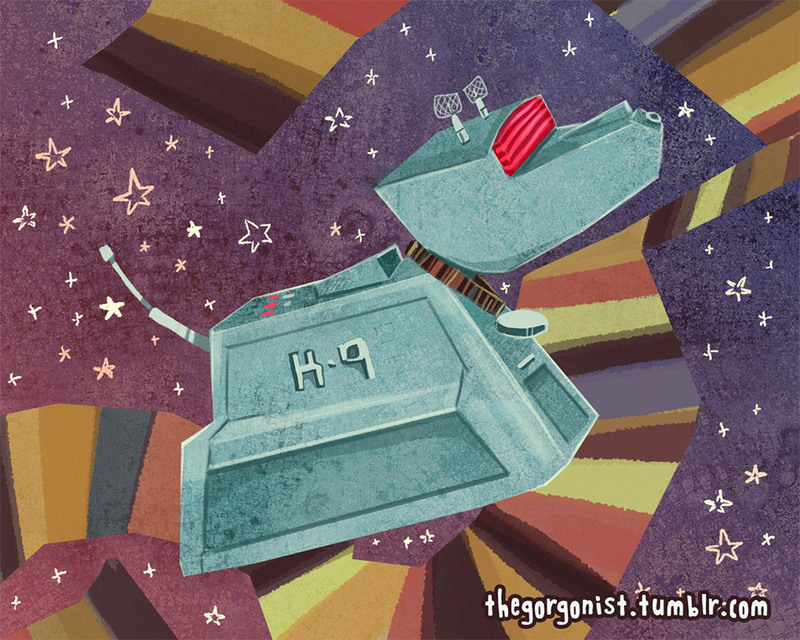 Available on Etsy, the prints are based on the Doctor and his companions and even K-9. 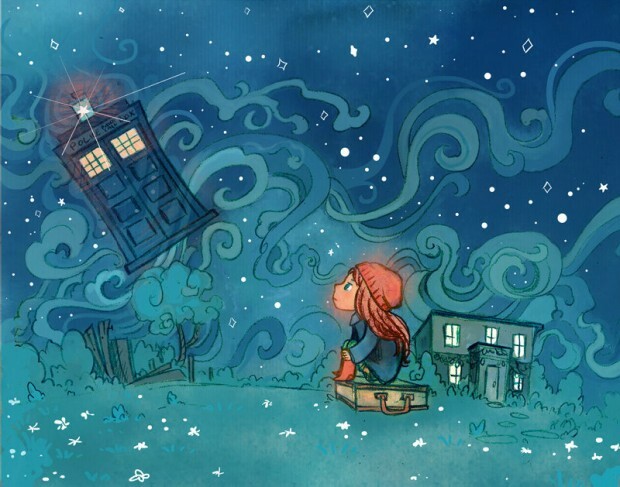 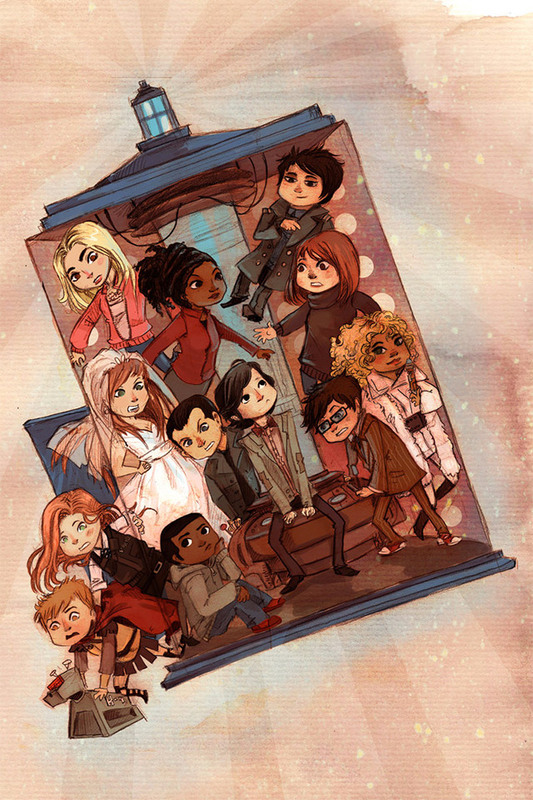 We especially like the image of little Amelia Pond, waiting and watching for the Doctor to return in his TARDIS. 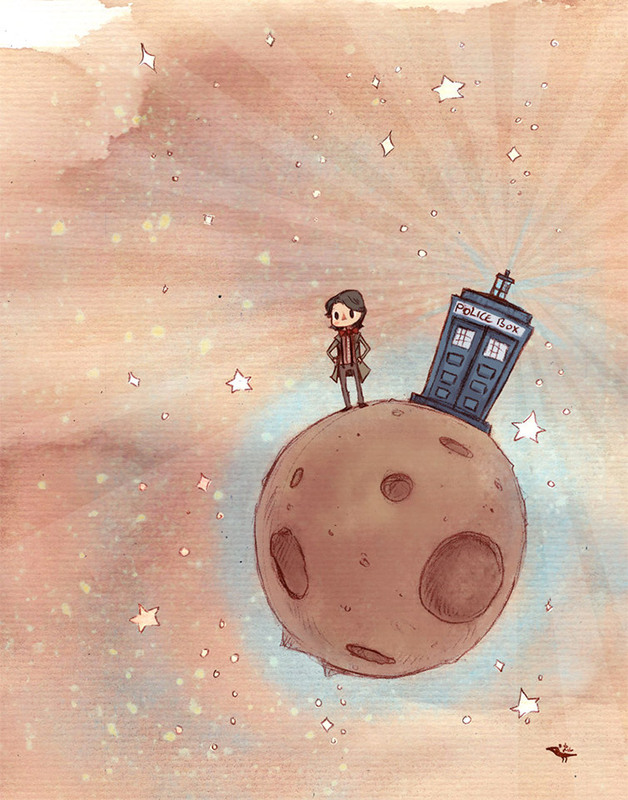 Or perhaps the mashup of Doctor Who and The Little Prince, with the Doctor visiting Asteroid B-612. 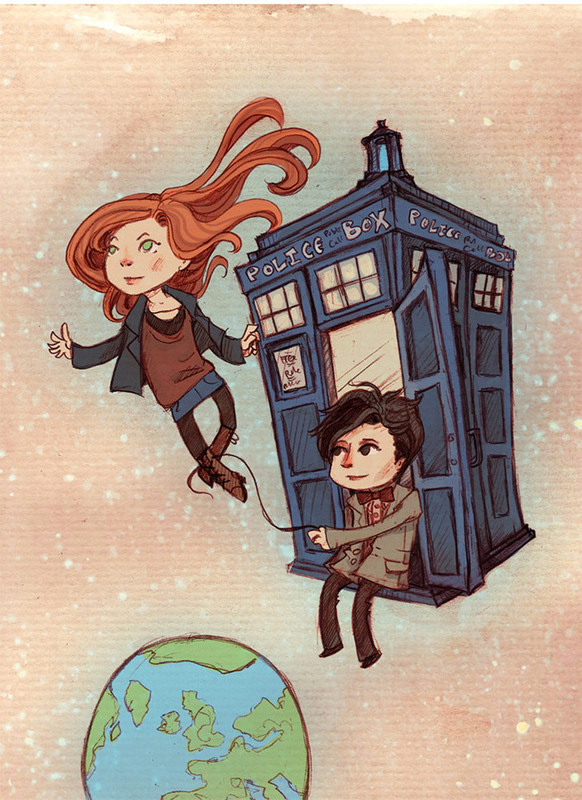 There are few others also available on Etsy, so be sure to check them all out.